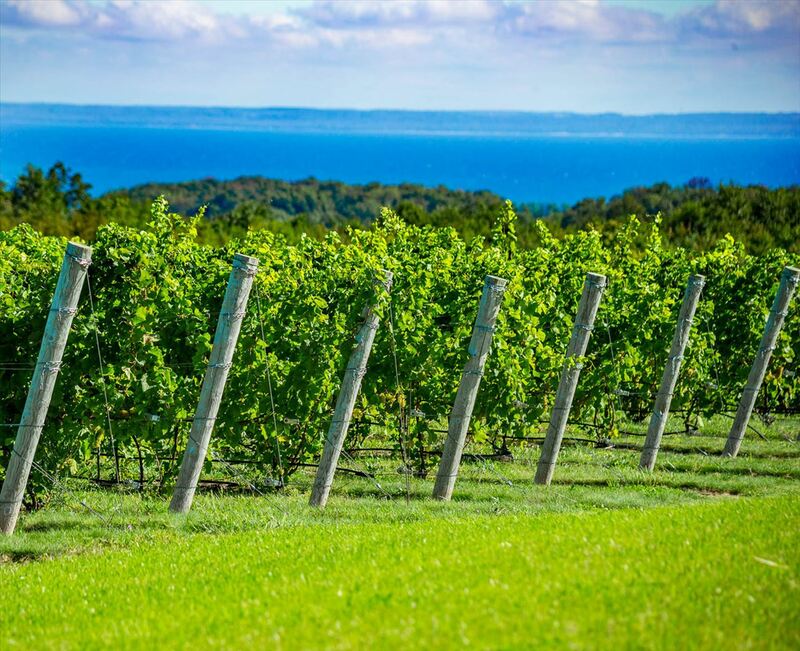 Discover Leelanau Peninsula, where cool-climate wines pair perfectly with local cuisine. The small peninsula is home to 24 wineries located within diverse microclimates uniquely suited for a variety of wine grapes. Among the internationally acclaimed varietals are Riesling, Pinot Grigio, Chardonnay, Pinot Noir and Cabernet Franc. Experience, first-hand, the authentic taste of the peninsula in local wines that continue to achieve national and international accolades with each passing vintage. The trail is divided into three mini-trails for easy touring: the Sleeping Bear Loop, the Northern Loop and the Grand Traverse Bay Loop. Each tasting room along the trail offers its own unique experience, from pure elegance with unparalleled views to cozy nooks loaded with charm. As you sip wines and chat with the laid-back, hardworking winemakers that produce them, you’re sure to find many reasons to love the trail. Along your journey, you’ll discover breathtaking views, stylish wines and passionate winemakers with eclectic backgrounds that include fourth-generation farmers, doctors in horticulture, corporate businessmen and entrepreneurs. Together, they represent the largest and oldest wine trail in Michigan and have garnered Leelanau Peninsula international attention as a world-class destination. Whether your visit lasts a day or a season, you’re sure to find comfort and pleasure in everything the Leelanau Peninsula Wine Trail has to offer.